Roger Delon`s Hive similar as a hollow tree,has internal dimensions 300х300 mm. Roger Delon called him "CLIMATSTABLE". Body, have inner size of 300x300 mm and a height of 108mm. In order to prevent displacement of the framework, the walls of the housing are equipped with specialmetal pins, which dress frames. Each body of the hive for 8 frames, total number of frames in the hive - 96. 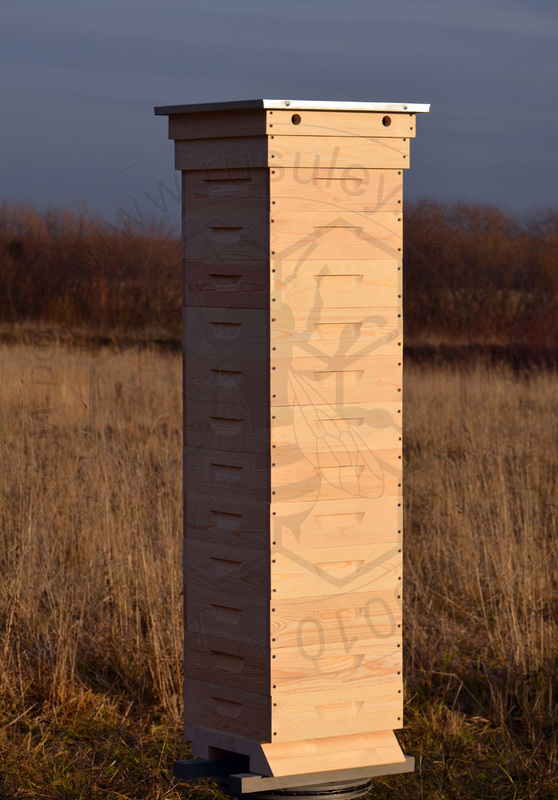 To changethe height of the entrance to big or smaller side of the entrance must be shifted forward or backward relative to the bottom of the hive.